Go into the night to save the day with three action-packed adventures in a padded board book based on PJ Masks, the hit preschool series airing on Disney Junior! 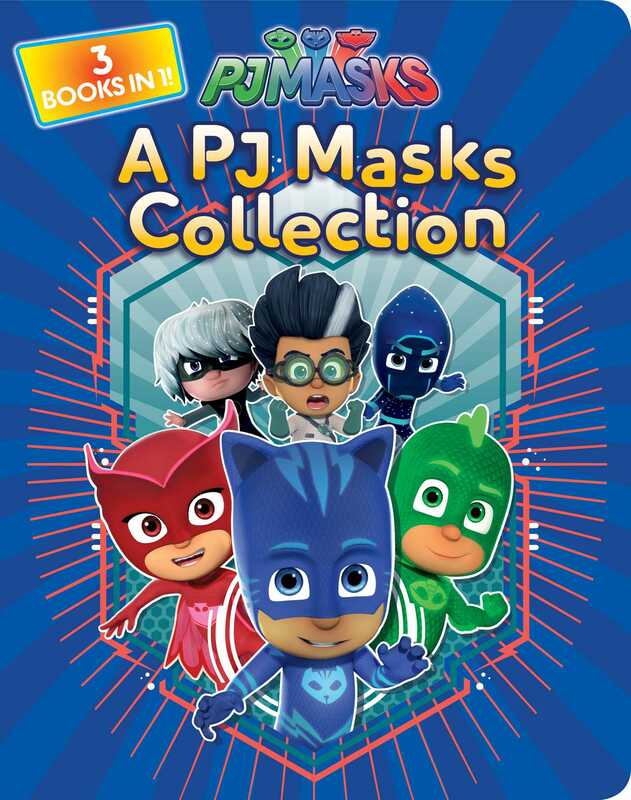 PJ Masks fans will love joining Catboy, Gekko, and Owlette on three exciting adventures, all in one book! Each story highlights one of the main characters. In one story Catboy battles Luna Girl, in another Romeo steals Gekko’s voice, and in the third story Owlette competes against Night Ninja to see who is the best flier in the sky. This book is sure to be a hit with fans of the heroic kids who go into the night to save the day!